This year is Max Factor's 100th anniversary and they especially created several makeup products with which you can create iconic, glamorous looks and the Max Factor Excess Shimmer Eye Shadows are one of them. These gel-based eye shadows come in 6 colors: Bronze, Copper, Onyx, Pearl, Crystal, and Pink Opal and I will review the Crystal, Copper, and Bronze. The glass jars looks a bit like mini ash trays, but the rest looks very similar to some of the cream eye shadows that I know of, like the Maybelline Color Tattoo and the Bourjois cream eye shadow (as in: black cap and transparent jar). 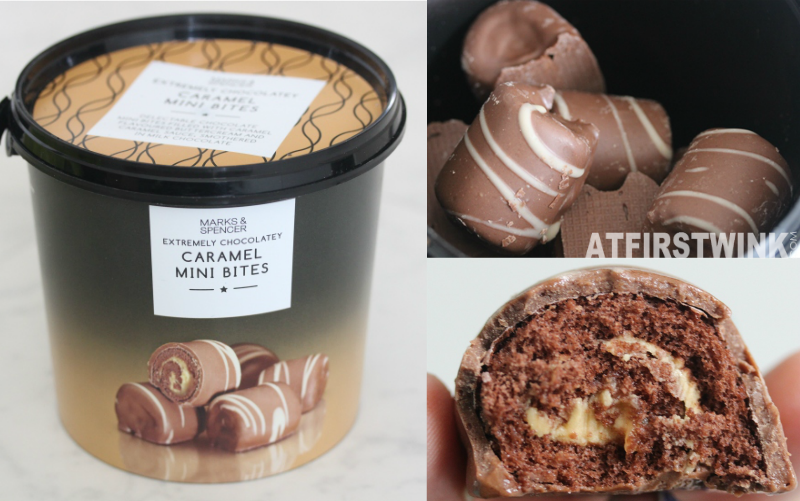 When you open the jar, there is a protective seal. 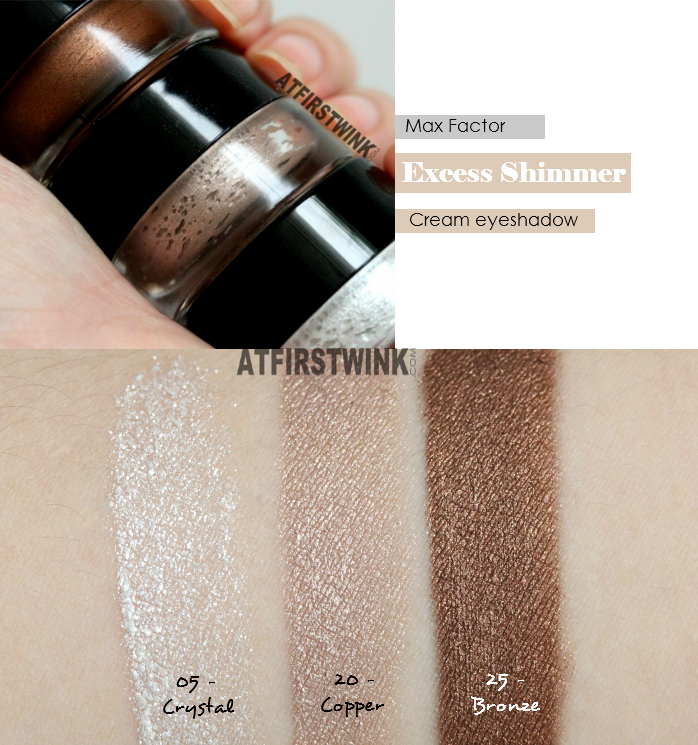 The texture of the Max Factor Excess Shimmer Eye shadows is very soft and airy. For now, I will leave you with the swatches on my arm, as I will show you how they look on my eyelids later. Don't you think that they already look very promising? It is the first time I tried cream eye shadows and the colors are very pigmented and look really good with brown eyes. Want to know how they look on the eyes?